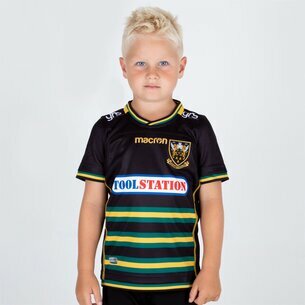 When the Saints go marching in do you want to be in that number? 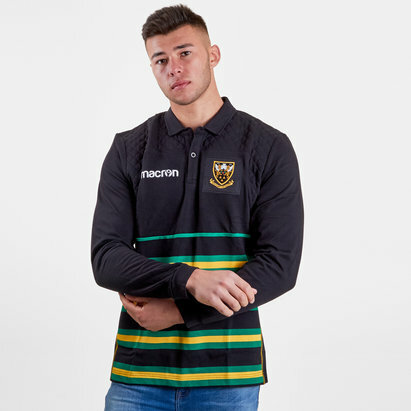 You can do just that in this Northampton Saints 18/19 Home Test Rugby Shirt from Macron. 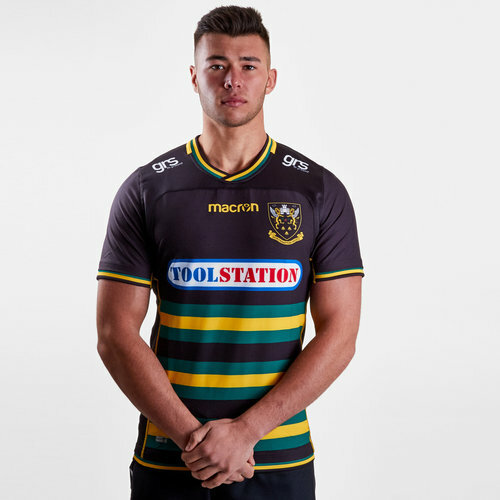 Northampton Saints of the Gallagher Premiership have designed and produced a 2018/19 kit and training range with Italian manufacturers Macron. 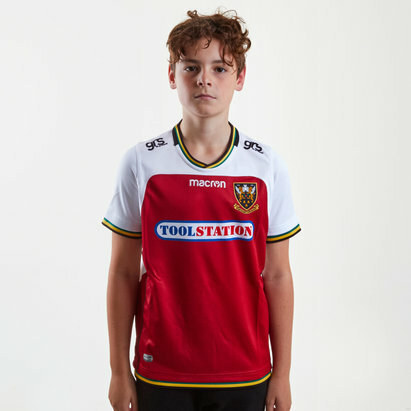 The kit this season is innovative and modern but maintains the club's heritage of running out in the traditional black, green and gold colourway. 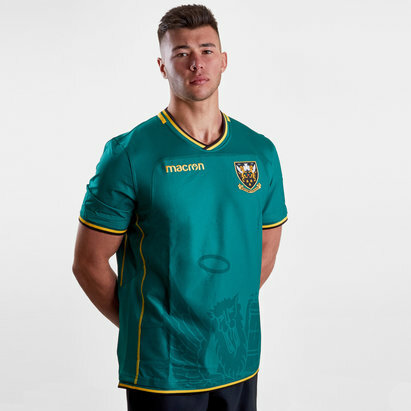 The elite playing jersey was created using the latest technology available, providing Northampton’s squad with the utmost freedom of movement whilst they play and keeping moisture away from the body to keep Saints cool on the pitch. 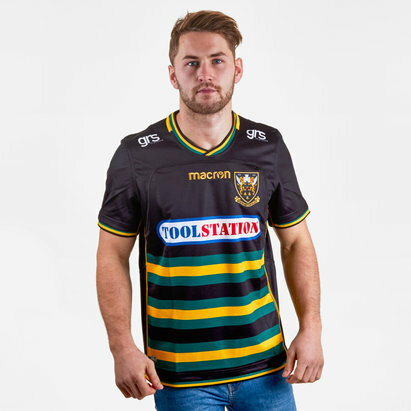 This shirt is predominantly black but features green, gold and black horizontal stripes on the bottom half. 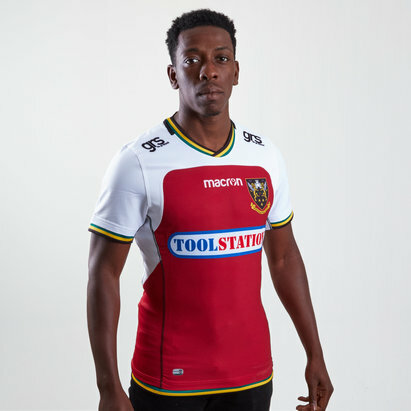 The club's badge is on the left whilst the Macron logo is under the neck. 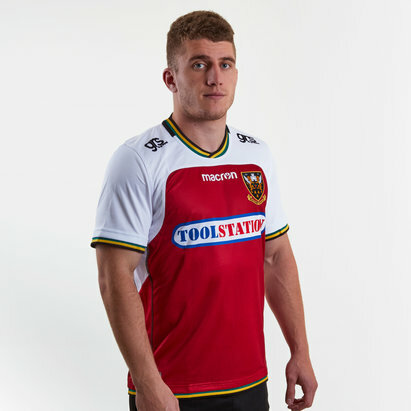 The club's sponsor - Tool Station - is printed across the chest. A band of the three traditional colours features around the neck and cuffs of the sleeves.